Today is Festivus (for the rest of us)! Of course, that also means that tomorrow is Christmas Eve! It's too late to get anything delivered from amazon.com, so what is someone to do for a last minute Christmas gift? 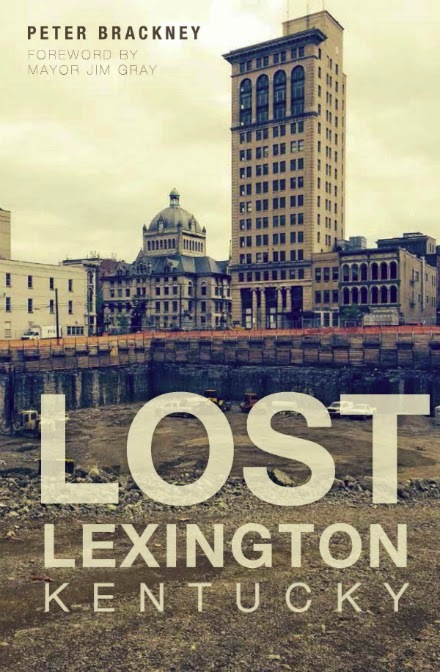 May I suggest my book, Lost Lexington, Kentucky? You can still pick it up locally at either Morris Book Shop or Joseph Beth Booksellers (and maybe other places, too). Tomorrow morning, I'll also have books available for pick-up directly from me (cash, plastic, or check; sorry, no change) which I can sign for you or the lucky person to receive such an awesome gift from you. Email me - peter [at] kaintuckeean [dot] com - for the where. It would be a big help to me if you would be so kind as to write a review of Lost Lexington! Reviews can be submitted on as many review sites as you can find, but the easiest to use are amazon.com and barnes & noble. If you use GoodReads, you can also submit a review there! Many thanks!